The Fur-Zoff pet fur remover reminds me of a line from the song "If You Wanna Be Happy." You know, the one about how if you marry a pretty woman she'll break your heart, but an ugly one will stay with you forever. Anyway, the particular line I'm thinking of is in the middle of the song, two guys talking. One says: I saw your wife the other day! Yeah, an' she's ug-leeee! And the other says: Yeah, she's ugly, but she sure can cook, baby! 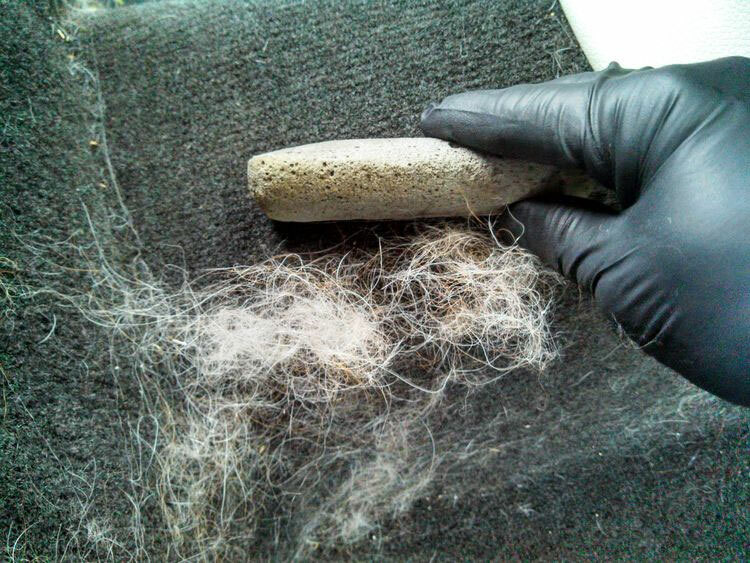 The Fur-Zoff might be the world's ugliest cleaning tool, but it sure can scrape up fur and pet hair, baby! 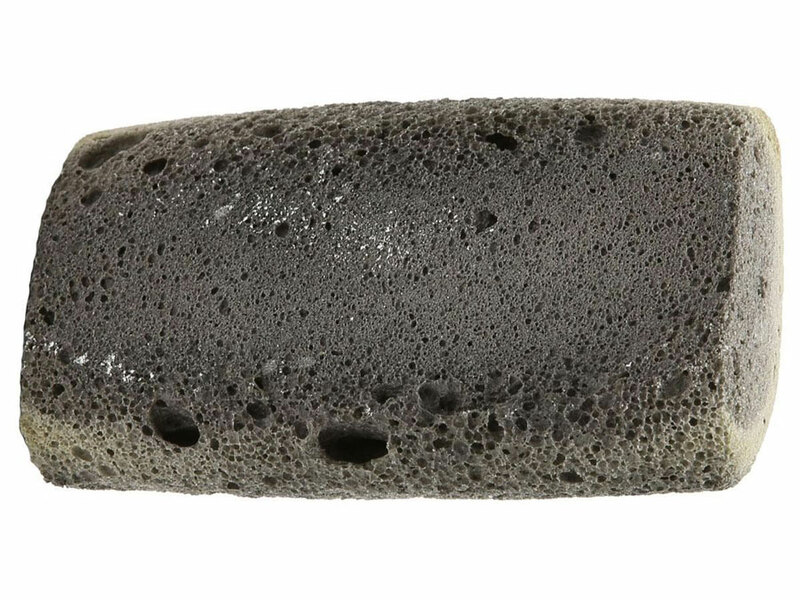 The Fur-Zoff looks like a pumice stone, a porous non-shape in a grisly, wet cement color. Its manufacturers say the hair sweeper is actually made from 90% post-consumer recycled materials, and so in addition to be ugly and effective, it's also environmentally-friendly! Use the Fur-Zoff around the house on carpets, comforters, couches, and clothing, as well as in your car, on cloth seats, carpet, and head liners. You can also use it directly on your pet to collect loose and offensive fur into a nice, somewhat revolting pile you can dispose of easily. Ugh, wads of fur, wads of hair. Whether animal or human, they make me want to blow chunks. Why is that? 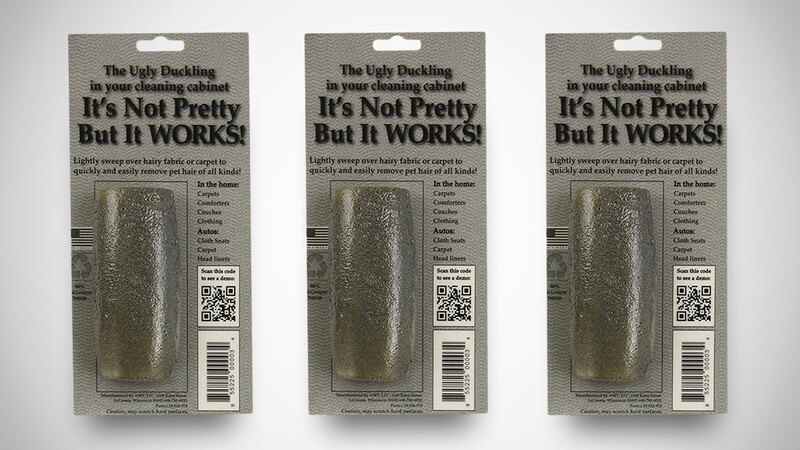 I don't mind either when they're attached to their point of origin, but between hair salons, people with golden retrievers, and the shower after my wife uses it, sometimes I think I'd rather we all go bald.